The Championship has got off to its blistering pace of start that we should probably have gotten used to by now, but it still feels like a lot of games already! Following another draw, but a hard-earned one at that, at Elland Road on Tuesday night; Fulham take on another big Yorkshire team at the Cottage on a Saturday afternoon. The Whites are no strangers to Sheffield Wednesday, having battled against the Owls for the coveted sixth spot in the league last year before Leeds United’s timely collapse allowed both teams to secure play-off spots in their own right. Much like Fulham, Wednesday have kept hold of the majority of their squad from last year, trusting that the old guard should have enough to get the business done this time round. The only notable additions at Hillsborough over the summer months have been George Boyd and centre-half Frederico Venancio, as well as the permanent addition of last season’s Middlesbrough loanee Jordan Rhodes, and outgoings have also been in short supply. In truth, Wednesday’s attacking options remain probably the most potent in the league, with Rhodes and Boyd being joined in the ranks by Sam Winnall, Gary Hooper, Steven Fletcher, Atdhe Nuhui, Lucas Joao and Fernando Forestieri, although the latter has been linked with a move away from the Owls after a training ground rift with Sam Winnall has resulted in him being dropped from Wednesday’s matchday squad for the last few matches. Whilst the diminutive Italo-Argentinian is clearly a player of considerable talent, the wealth of options at Carvajal’s disposal suggests that even if a move away was to materialise, he probably wouldn’t be missed all that much. The suggestion of a reunion with his former boss at Watford, Jokanovic, has been mooted, but is more than likely just conjecture, although it’s something we’d welcome in an instant should it materialise to be true. Fulham have made signings of their own this week, however. Rui Fonte has come in to take the number 9 shirt and the formed Braga captain is joined at Motspur Park by Liverpool loanee Sheyi Ojo, who promises further energy, skill and pace in the spot opened up by Lucas Piazon’s unfortunate injury sustained during Tuesday’s game. Whilst both teams have had restrained openings to the season, it’s undeniable that Saturday’s match up is between two of the Championship’s strongest squads, and between two teams who will be looking to be in and around the automatic spots come the end of the season, and thus, as always between these two sides, the fixture should be entertaining, attacking and a pleasure to watch. The big questions continue to come for Slavisa. Does new No9 Rui Fonte get a starting berth leading the line after AK47’s energetic, if slightly limited, performance on Tuesday night? Does Denis Odoi keep his place ahead of the returning Tomas Kalas, and if the Czech centre-half does return, should Denis come out to take Ryan Sessegnon’s left back slot? Is Cairney fit again? Does the excellent Ollie Norwood come back into the middle, or does Ibrahima Cisse, who was excellent against Leeds, maintain his run in the side? We’re glad we’re not picking this one, but this is what we’ve plumped for. We were tempted to call it as Gary Hooper against Tim Ream, but with the American getting the nod for Tuesday’s game against Leeds, we thought we’d mix it up a bit and settled for the key battleground being the centre of the park. Despite slow starts to the season for both, we know for a fact that both Fulham and Sheffield Wednesday are amongst the best teams in this division, and the control of possession in the match-up will go a long way to determining who comes out on top at Craven Cottage on Saturday afternoon. Bannan is a well experienced player with the ability to change games with a long-range bullet or a defence-splitting pass, just as much as he’s able to shield his back four, and is an integral part of Carlos Carvajal’s unit. Likewise, KMac is Fulham’s wall, and, to take a biblical analogy, the rock on which Slavisa Jokanovic has built his church. If he can snuff out Bannan’s creativity, and Fulham can launch their own game off a solid McDonald platform, three points should be within range for the Whites. 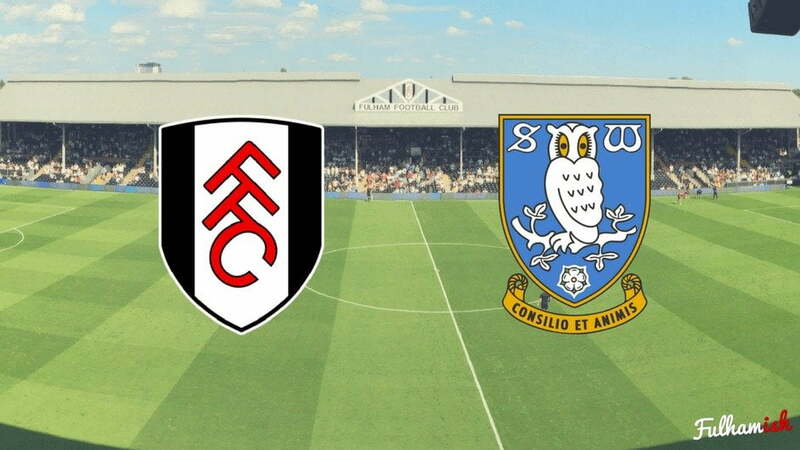 Obviously there are no easy games against a team of Sheffield Wednesday’s quality, but their start to the season has been slightly sluggish and Fulham really need to capitalise on that if they’re going to take their first three points of the season. An early goal would settle the nerves and play on Wednesday’s own fears, and would hopefully line Fulham up for a good day out in the Saturday afternoon sun of Craven Cottage. We’ll be brave, and call it as a 3-1 home win. Don’t forget to listen to Monday’s episode of Fulhamish for all the reaction to Saturday’s game, and make sure that you’re subscribed on one of the following platforms.